Here's the final painting. I did keep the background more muted and old time photoesque. 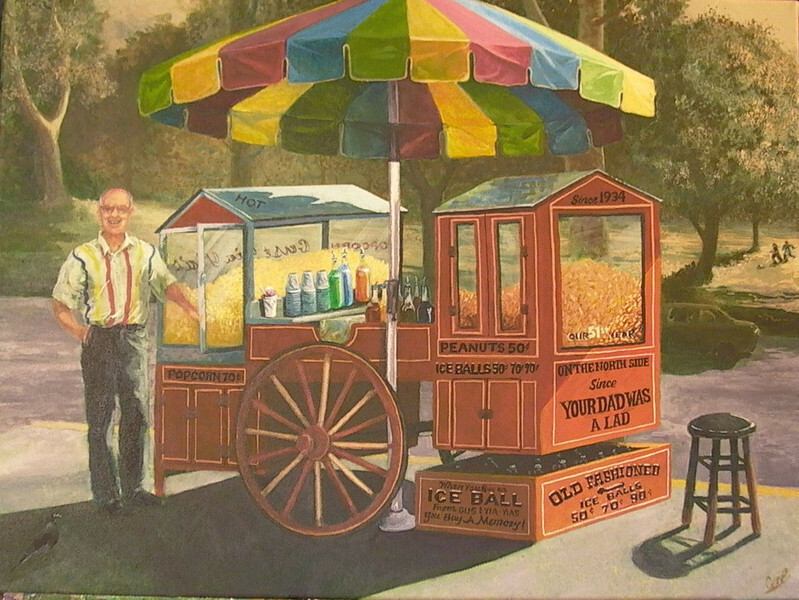 The popcorn and shaved ice stand it still there! Don't you think it's time for a visit?